Whether you are ending a marriage or facing a child custody or support dispute, skilled legal counsel may be vital to your well-being and that of your family. I am Barton R. Resnicoff, and I have the experience it takes to successfully handle a variety of matrimonial and family law cases. When I first started representing family law clients, I practiced with two very different partners, from whom I learned different things. From one partner, I learned how to practice tough and give no quarter. From the other, I learned how to use the law to assist my client — how to work with the parties and the other attorney to resolve the case fairly. As a family law attorney, my goal is to resolve cases with my clients being treated fairly. I use all approaches to get to that result, from litigation or preparing for litigation; to negotiations; to mediation; to working with those involved to get reasonable outcomes. I have limited my practice to matrimonial and family law for over 35 years, and over this time I have developed a strong reputation in the field. I am a Board Certified Family Law Trial Specialist*. I was first certified by the National Board of Trial Advocacy in 1996. 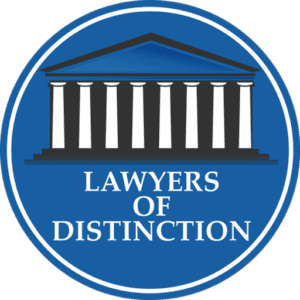 I was selected for inclusion in New York Super Lawyers in 2007, 2008, 2009, 2013 and 2014. I am active in various bar associations, including the American Bar Association, New York State Bar Association, Queens County Bar Association, Nassau County Bar Association and Suffolk County Bar Association. I have published articles and lectured on topics of family law and matrimonial law. I have handled a significant number of appeals and have well over 30 reported decisions from those appeals. I have tried, to conclusion, over 225 matters. I am a divorced father with a grown daughter. I have been remarried for over 25 years and have two stepsons with families of their own. Going through the divorce process on a personal level, and having two stepchildren and four grandsons, I feel, has been integral in teaching me how to understand the legal process from the client's viewpoint. When I am not working on cases or spending time with my family, I remain active athletically. I was on my high school and college swim teams and played water polo in college. Since then, I have completed many marathons and shorter races. I was also on a couple of softball teams — as one of the oldest team members — making reasonable contributions to successes, including a couple of league championships. I also play paddle ball, and I continue to swim whenever possible. To learn more about my background and qualifications, please read my attorney profile below. Please call 516-441-7432 or fill out this form to schedule a legal consultation with the Law Office of Barton R. Resnicoff. I represent clients in Queens County, Nassau County, Suffolk County and the surrounding areas. *The National Board of Trial Advocacy is not affiliated with any governmental authority. Certification is not a requirement for the practice of law in the State of New York and does not necessarily indicate greater competence than other attorneys experienced in this field of law.